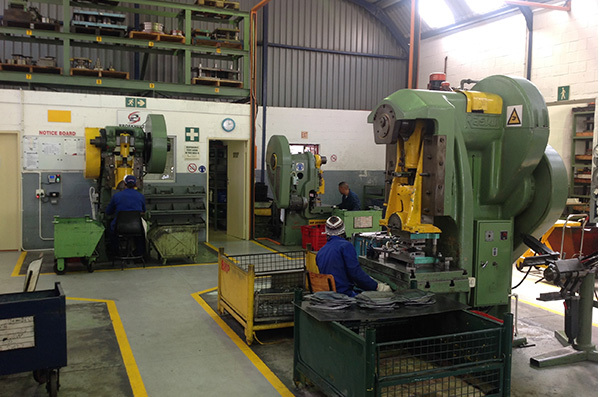 Broekhuizen Metal Pressings (Pty) Ltd offers the finest in metal pressings and several other types of precision metal fabrication to meet all your needs. Specializing in the forming and deep drawing of medium sized components, from low volume general press work to high volume automotive pressings, no run is too big or too small. Our machines and components feature the same outstanding quality that has become a Broekhuizen tradition. This combined sense of quality and integrity has made Broekhuizen the industry leader in the field of metal pressings. Broekhuizen currently has 19 presses in our factory with more being added at later stages of development. The range consists of 12 C-Frame presses, some with automatic feeders for high volume work; 2 H-Frame presses with cushions and 5 Hydraulic presses with cushions for deep drawing work up to 300T. Our Hydraulic Presses have rigid and sturdy steel welded construction for minimum deflection of the frame. They are compact with a built in hydraulic power pack for multi productivity. These presses are economical and operate with high speed. They can be used for a wide variety of jobs but are mainly used for forming and deep drawing work. With our customer base as diverse as our product lines, we service small, medium and large companies. The metal press division is constantly evolving to reflect industry improvements and changing specifications and standards. For more specifications on our presses see our facilities page. 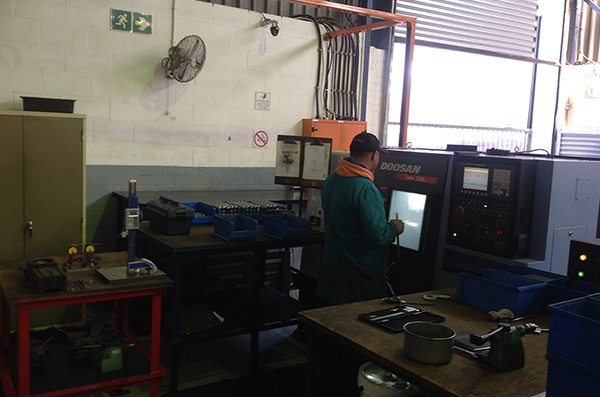 In-house facilities provide for the design and manufacture of small to medium press tools.